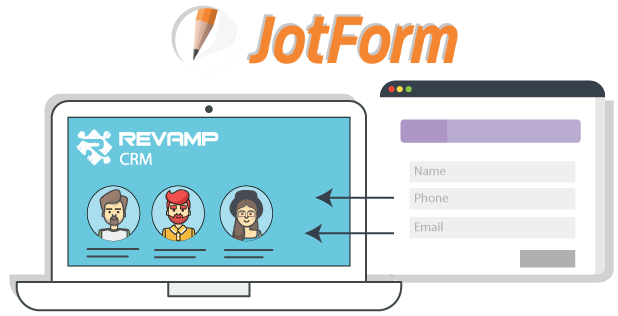 The JotForm integration, a smooth process for merging your contacts to your Revamp CRM. Jotform is one of the easiest ways to collect your information over the internet. HTML form builder helps you create contact forms, online surveys, and invitations so you can collect the data, registrations and online payments you need without writing a single line of code. Automatically create a person in Revamp CRM each time there is a new form submission in JotForm.Optionally, assign it a tag, a score or a list. Connect your web forms to Revamp CRM and have leads enter your marketing workflow so that you can set automated sequence of actions. Set it up once and it’s done forever. 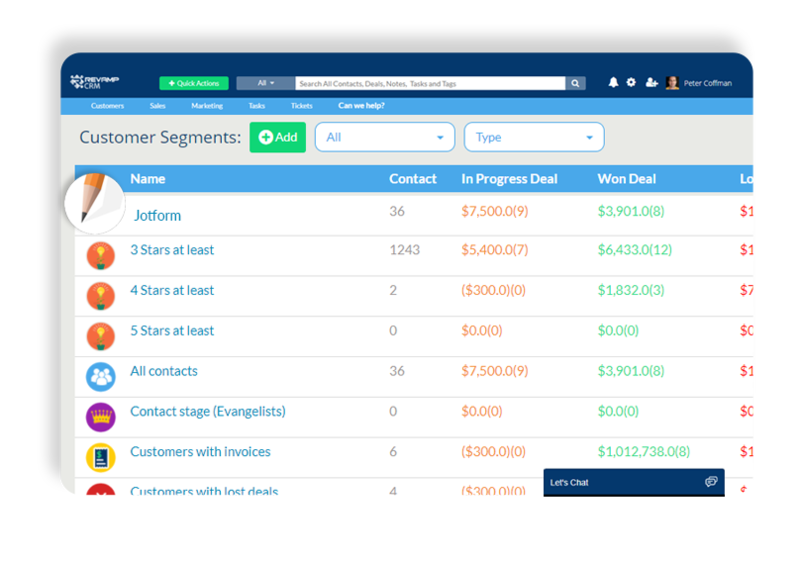 Create segments with specific criteria of your JotForm contacts to send timely and personalized emails, on auto-pilot.